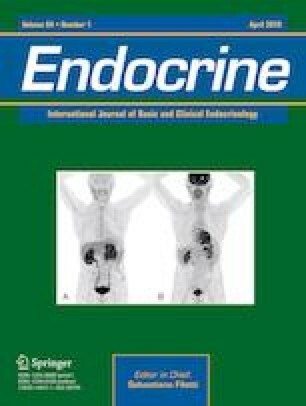 Adrenal incidentalomas (AI) are one of the most frequent reasons for consultation in Endocrinology, as they are present in 3–10% of the general population. Up to 20% of them may have autonomous cortisol secretion (ACS), a term that refers to AI carriers with biochemical evidence of excess cortisol, but without the “specific” clinical signs of Cushing’s syndrome. As ACS is associated with an increased risk of diabetes, obesity, high blood pressure (HBP), osteoporosis, cardiovascular events, and global mortality; its correct identification is of great importance. There are different laboratory assays to detect ACS, but all of them have some limitations. The dexamethasone suppression test is the most accepted for screening. However, there is no consensus on the cutoff point that should be used. Low levels of ACTH and DHEA-S and high urinary free cortisol are also associated with ACS, but in isolation they are of little value to establish the diagnosis. Considering its clinical implications and the lack of consensus in the diagnosis and in which is the most appropriate management of these patients, this review offers a quick reference guide of ACS, presenting an exhaustive review of the topic: its definition, epidemiology, diagnosis, clinical implications, treatment, and follow-up.